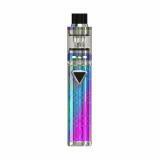 Eleaf iJust ECM Kit comes with optional liquid capacity and 3000mAh battery capacity. It has light weight and compact size to ensure easy carry. Just take it. 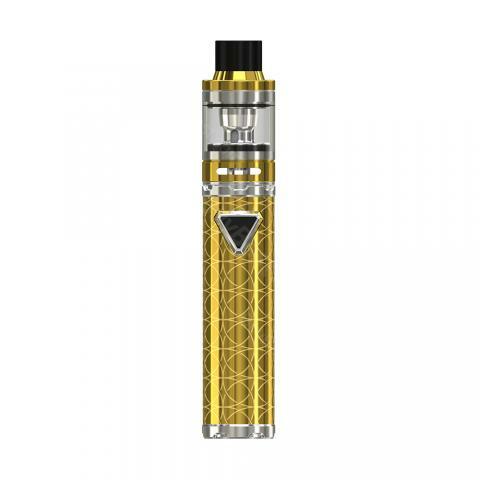 Eleaf iJust ECM Kit, which is powered by built-in battery that has 3000mAn capacity to fire up to 40W, has long stand-by time to avoid frequent charging. Actually, it adopts 2A quick charge. So it is also convenient. In addition, it has four-color light to indicate the battery life. As regards tank, it adopts the newest steel sheet to give you pure flavor. What's more, the liquid capacity has 2ml and 4ml for your choice. Just take this compact kit. You will like it. • Three-month warranty for ECM Battery and Tank. The craftsmanship is elaborate and I fail to find any problems on this ECM kit. Ordered the iJust ECM Kit for my friend's birthday. He is Eleaf fan. I think he would love this gift. I Like the kit with 2ml e-juice capacity,the kit is very small and fits in every pocket. Cheap vape pen kit,3000mAh give me a lasting vaping.Very easy to use! Perfect Kit for beginners. Trustful package, the eleaf kit was safe and sound when I opened the package box. 3000mAh battery lasts just about all day,great original Eleaf quality, easy to use, good for beginners, nice price. Would buy again, I hear of this website from my vaping friend. Eleaf iJust ECM Kit уточенный и компактный, удобно лежит на руке. Exquisite workmanship, portable size, good performance, all you can get from this ijust ECM. Recommend to buy! Though slim, the eleaf kit has powerful battery capacity of 3000mAh. Great. The vape gear is authentic. Ordered this ijust ECM after my ego aio was broken cuz it has larger battery capacity. Well, it proves to be a good choice. It can last me for a full day now. Only takes one month to my home from China. No tax fee. A simple vape pen. Works good, no issues so far. It should be geniune Eleaf product. It's really cheaper to buy this eleaf kit online than in my local vape shop. This kit is authentic. I'd buy again from your site. It's a beautiful vape gear. I pretty like the pattern on the patterned finish of the iJust ECM battery. The mesh coils vaporizes the e-liquid very well and produces amazing flavor. Eleaf iJust ECM kit is so beautiful,easy to operate and carry it everywhere.Fast delivery and best package.I'll order more at BuyBest. Hand feeling is good. Convenient to carry around and charging is fast.